Stopping through the Charleston, South Carolina area? If you are passing through Charleston for business or waiting for a cruise, you are in luck! 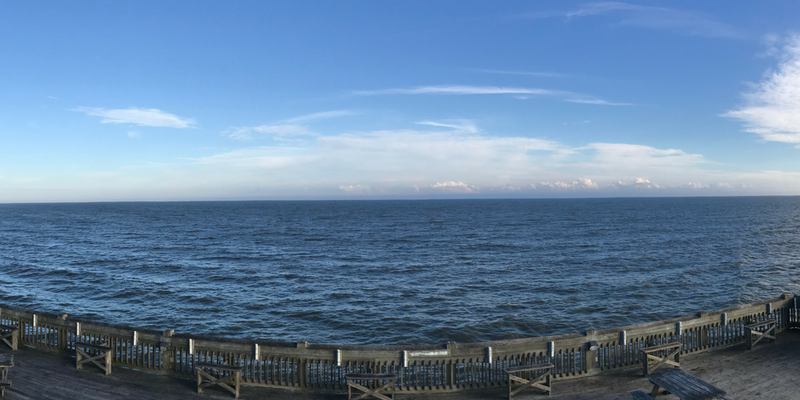 The Charleston area is full of neat restaurants, gorgeous architecture and beautiful beaches. The historic part of the city and three different islands are all within about thirty minutes of each other. Pop in to one of the many unique downtown restaurants or dessert shops. I didn’t spot a single chain restaurant in the area we explored! Most of the restaurants offer a nice view of the city, whether from inside through a large picture window, on a rooftop or alfresco. 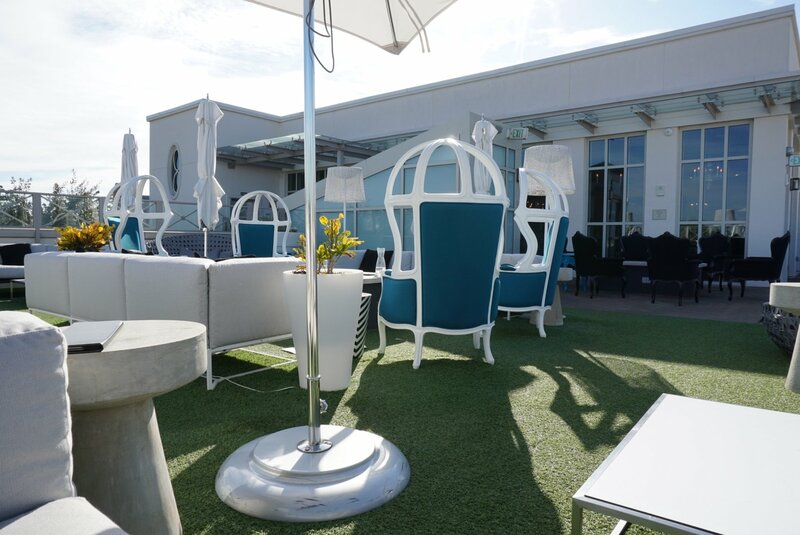 Share an appetizer & grab drinks at one of Charleston’s many rooftop bars. We went to Élevé and shared the Charcuterie & Cheese appetizer. 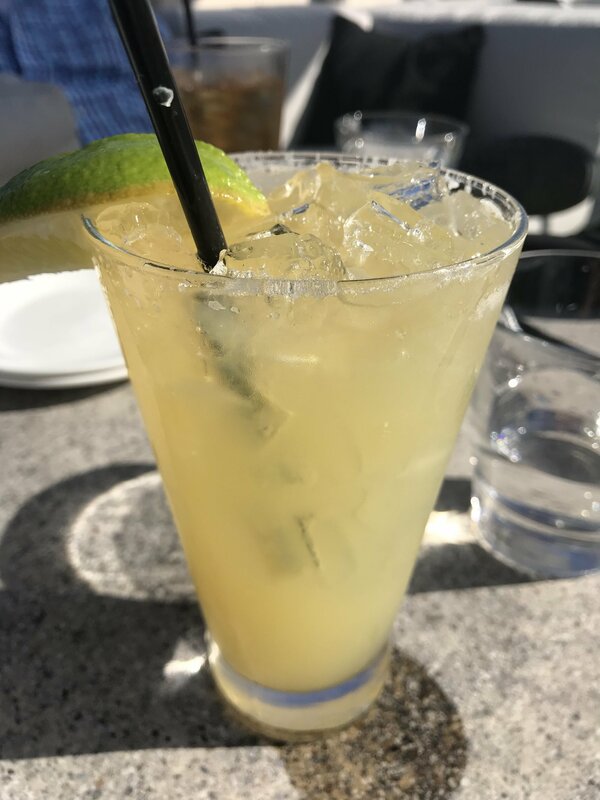 I tried the Boheme Margarita, which was exceptional! 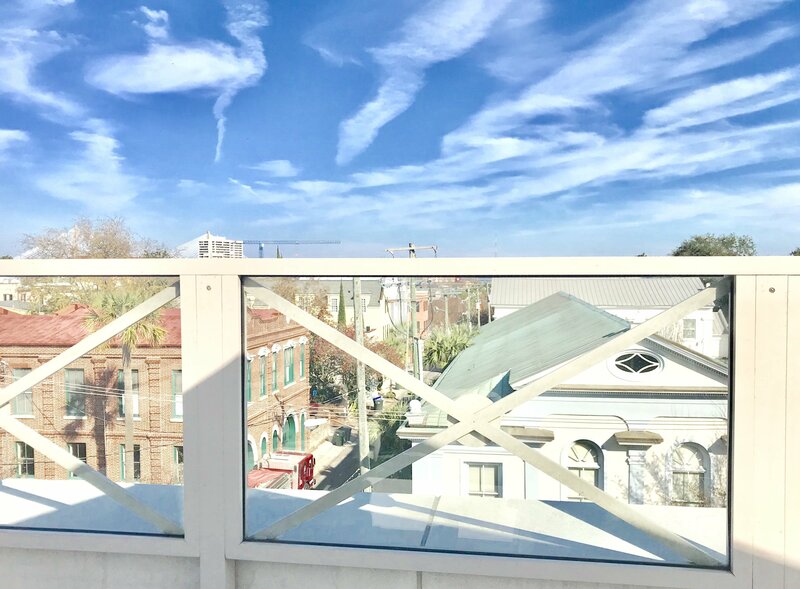 Modern decor covers the rooftop, which overlooks downtown Charleston. You can see part of the port area for Carnival Cruises in the distance. Our waiter was nice enough to let us bring our appetizer to the deck but they normally only serve drinks outside. The large windows have a nice view of the rooftop area though if you prefer to sit inside. Check out all of the fun shops downtown and the market. There are stores for every interest including antiques, art shops, gourmet gifts and more. 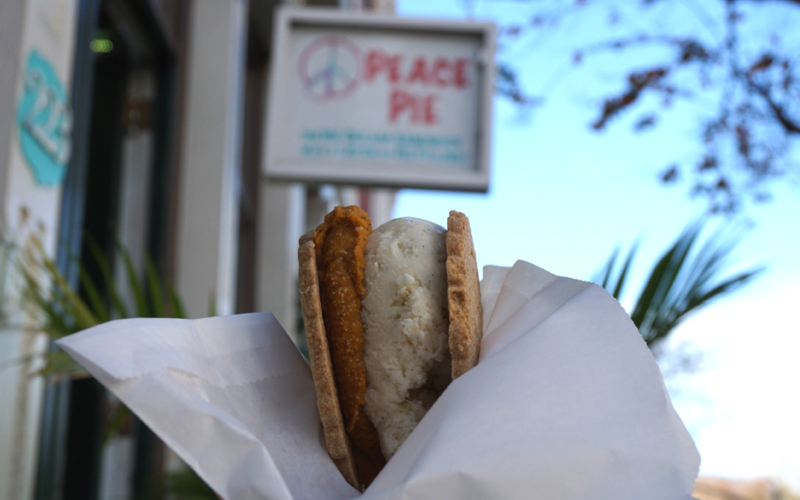 We passed an ice cream sandwich shop that I could not resist, called Peace Pie. Ice cream is layered with pie filling…mouthwatering! I had a Pumpkin Pie ice cream sandwich (pictured above). It tastes as good as it looks! The sandwiches are frozen but thaw quickly after taking a few steps into the Charleston air. 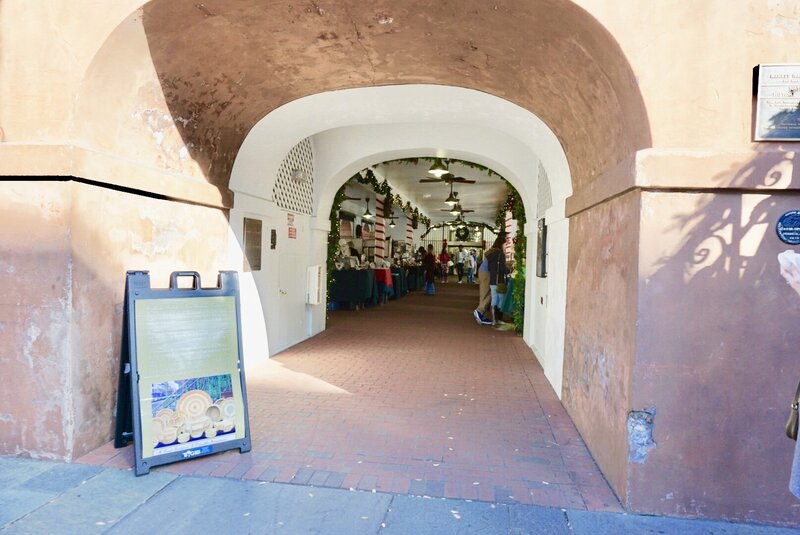 The Charleston City Market is filled with local artisans and unique souvenirs. Choose from open air sheds and an enclosed hallway, packed with locally made items. 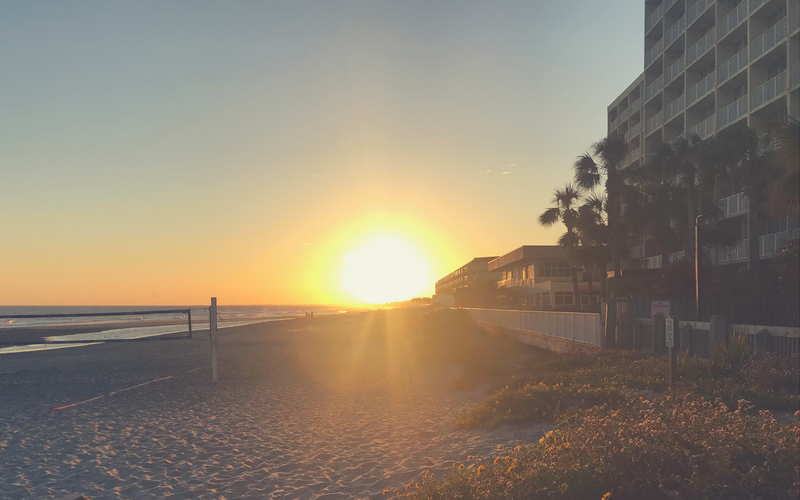 Take your pick from a whopping five islands Charleston has to offer, including Folly Island, Seabrook Island, Kiawah Island, Isle of Palms and Sullivan’s Island. 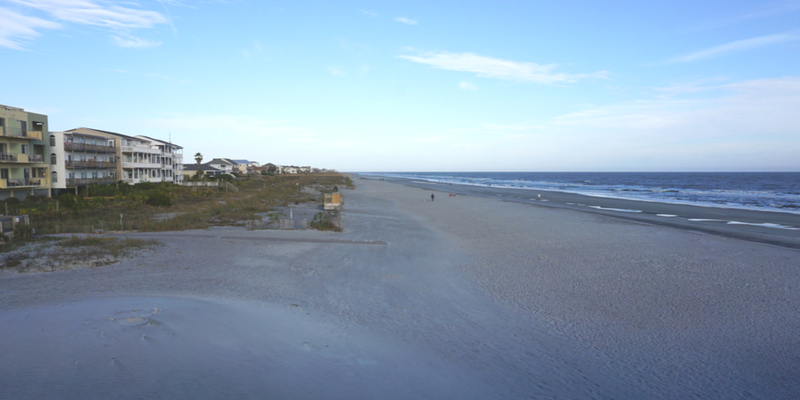 We chose Folly Beach on Folly Island, since we were limited on time and it was closest to where we were. Navigation estimated close to a 30 minute drive but it was much less than that. We drove around for a bit and then decided to park and explore. I cannot wait to check out more of the islands that the Charleston area has to offer on a future trip! 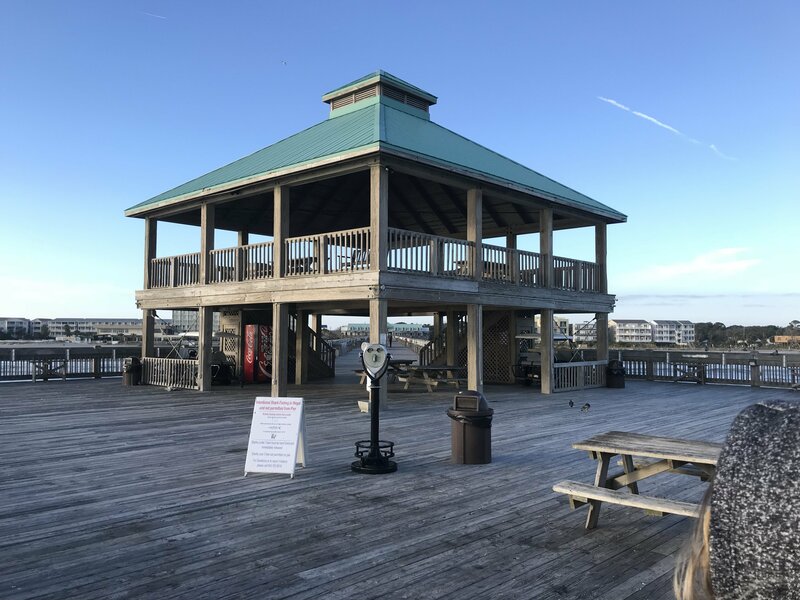 The Folly Beach Pier is unique because it offers a double-deck viewing point at the end. Be ready for lots of up close photo ops of pigeons and seagulls. They are some of the biggest I have seen and apparently do not budge for a good oceanfront view! Taking pictures from the end of this pier offers a view similar to one off a cruise ship or ferry. The perspective is so close to the water. 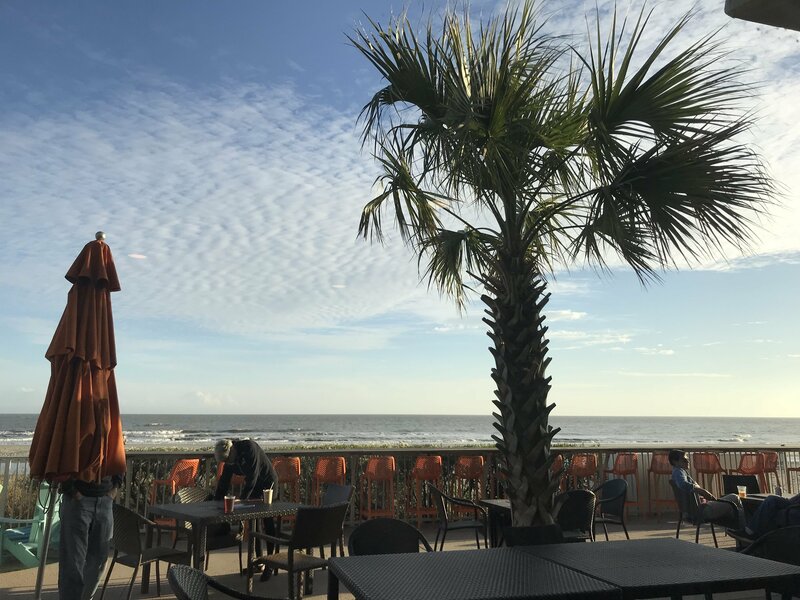 Choose from tons of oceanfront dining options, ranging from no-frills to fancy-ish. The perfect balance in between is definitely Blu Restaurant & Bar at Tides Hotel. 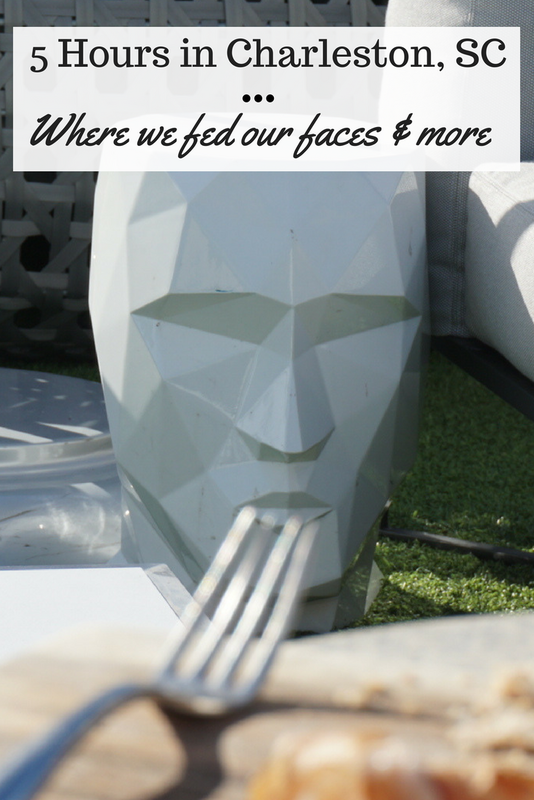 We had exceptional service and I had phenomenal vegetarian food. They offer a vegetarian plate with the freshest, in-season produce and it is so…good!